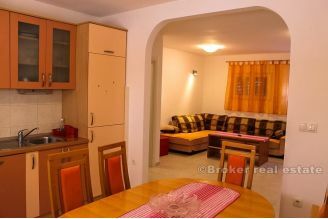 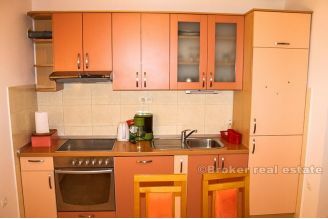 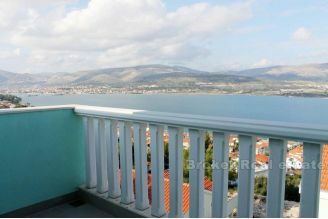 Nice spacious apartment for sale, located in Okrug Gornji, in a great location, only 50 meters away from the beach, total area of 67 m2. 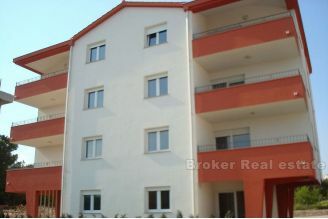 The apartment is located in a small residential building of 8 apartments and is placed on the ground floor of the building. 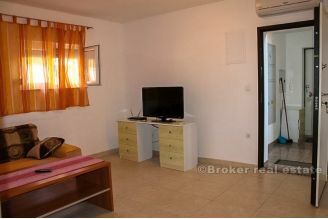 The apartment consists of two bedrooms, a bathroom, and a spacious kitchen, dining room and living room. 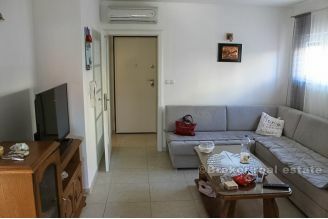 Since apartment is on the ground floor, with no open view, but has plenty of light and pleasant natural temperature in the summer months. 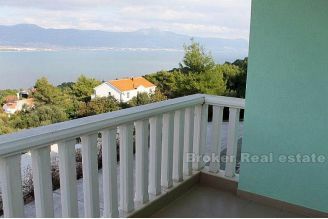 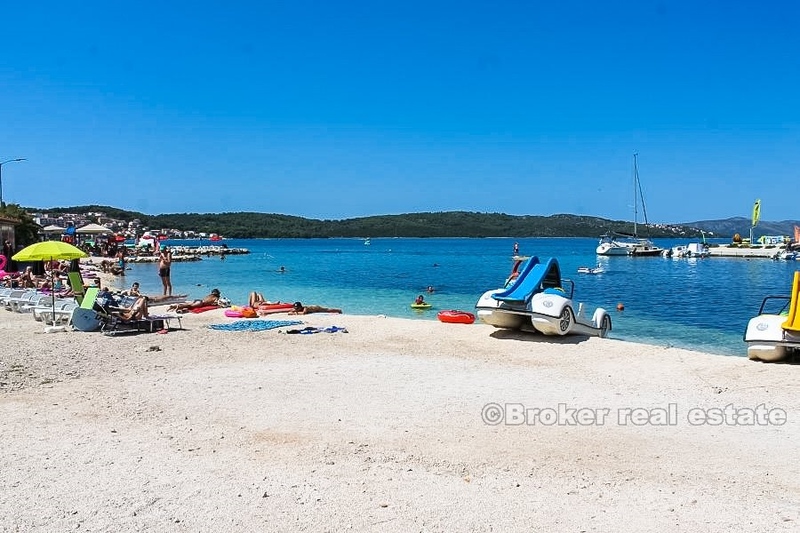 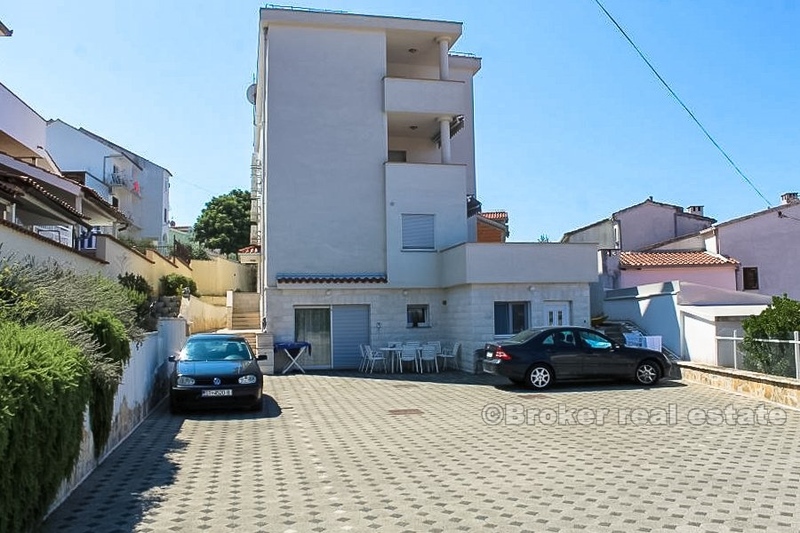 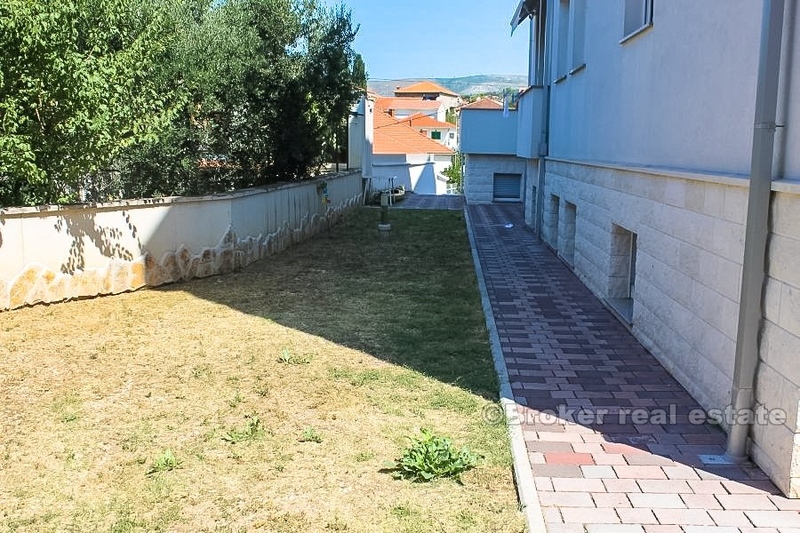 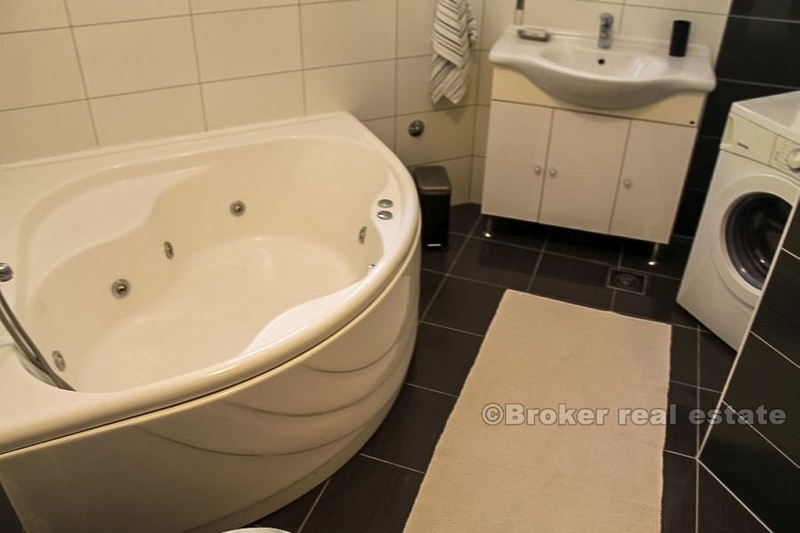 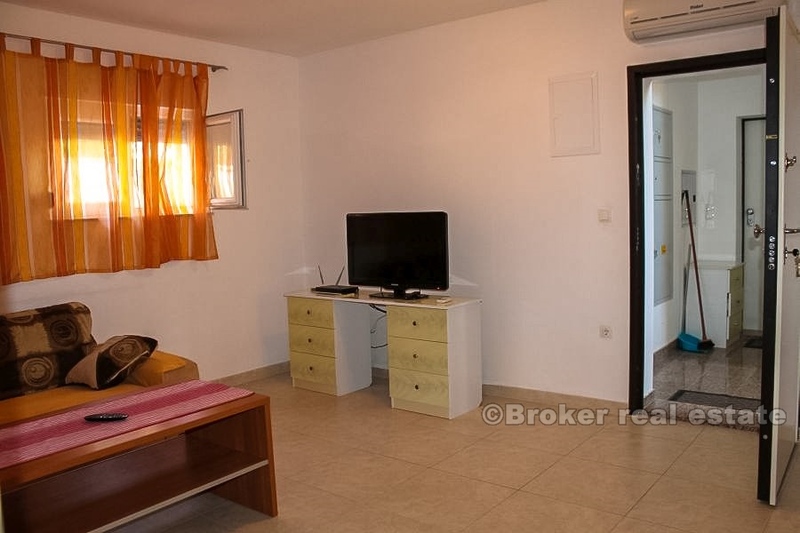 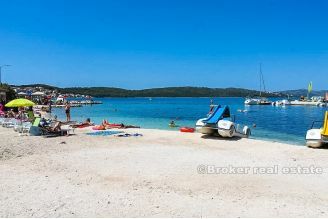 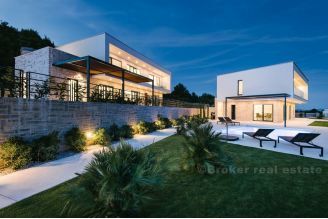 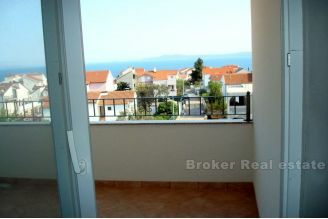 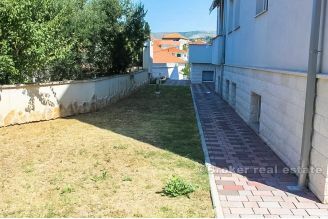 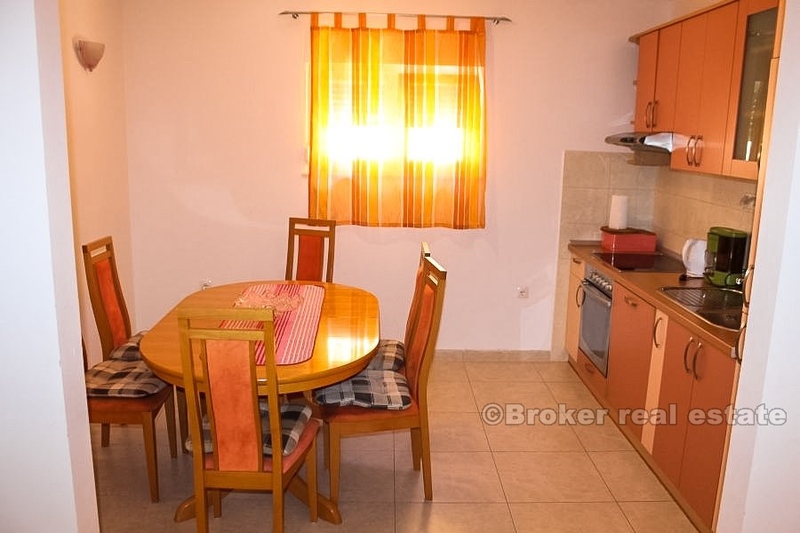 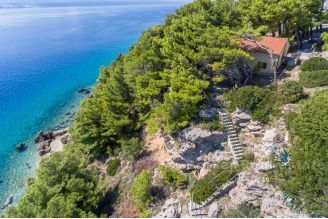 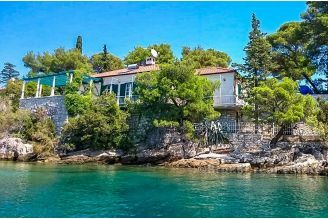 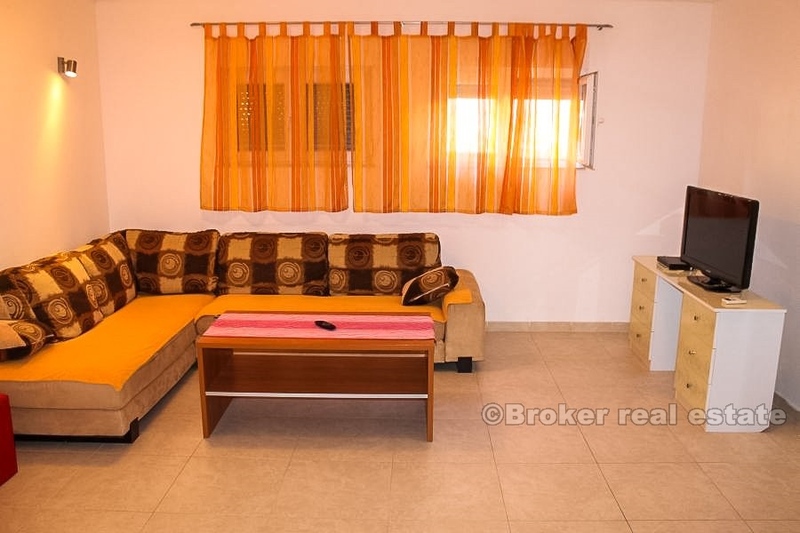 It is a great investment for the island of Ciovo, considering the vicinity of the main beach in Okrug, as well as the town of Trogir, which is only a few minutes by car. 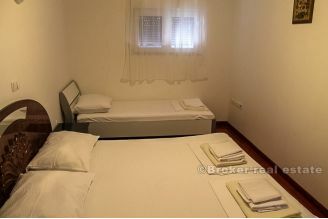 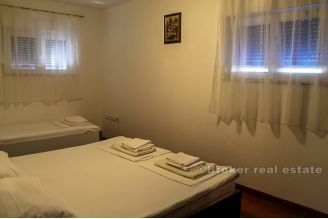 Since the building is newer, the apartment is in perfect condition and currently serves as a tourist rental. In front of the building there is a large parking lot.